Lapp has a long history of manufacturing servo cables and circular connectors, which makes us uniquely capable of providing on-target solutions for all your servo-application needs: servo cables in three performance classes, connectors with standard inter-locking screws or rapid interlocking system and overmolded assemblies. 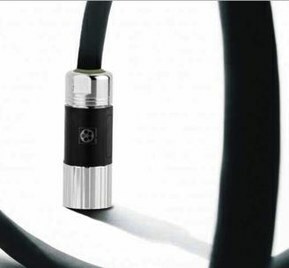 Lapp’s proprietary servo cables are designed with an innovative shielded connection to the connector. RFID option available. More than 50 years of technology leadership in cables and connectors. Via phone, online or through one of our sales representatives. For servo cables and components. Lapp’s global network of servo assembly facilities ensures inventory availability wherever you are. Get your free ÖLFLEX® CONNECT sample box today!